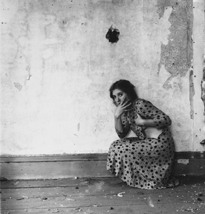 Francesca Woodman is the first comprehensive survey of the artist’s brief but extraordinary career to be seen in North America. More than thirty years after her death, the moment is ripe for a historical reconsideration of her work and its reception. Woodman’s oeuvre represents a remarkably rich and singular exploration of the human body in space and of the genre of self-portraiture in particular. Her interest in female subjectivity, seriality, Conceptualist practice, and photography’s relationship to both literature and performance are also hallmarks of the heady moment in American photography during which she came of age. Brother Jimmy’s Bait Shack is known for their BBQ’d meats, smoked in house. The menu is all Southern favorites like po boys, catfish, fried chicken, along with burgers. Though it’s small, Cavatappo Wine Bar packs a mighty punch, offering an amazing selection of wines from all over the world for under $10 a glass. With more than 40 TVs featuring sports, Ship of Fools also has darts, pool tables, and video games.